KATHMANDU, March 11: Two days after the cabinet took a decision to recover capital gains tax (CGT) on sale of shares in Ncell from Swedish telecommunication firm TeliaSonera, the Public Accounts Committee (PAC) of the parliament on Friday summoned Finance Minister Krishna Bahadur Mahara and Finance Secretary Shanta Raj Subedi to inquire why such a decision was taken. PAC sent a letter to the finance ministry on Friday, inviting the duo to attend a meeting on Thursday with a copy of the cabinet decision, PAC Chairman Dor Prasad Upadhyaya, said. “We want to know why the cabinet took a decision to recover CGT from the seller who has already exited the country,” Upadhyaya said, arguing that CGT has to be recovered from Ncell itself. On January 15, the parliamentary committee had instructed the government to recover remaining CGT from Ncell within three months and also furnish progress reports to it every month. PAC members say that the Wednesday’s cabinet decision has given a new twist in the efforts to recover CGT from share transfer deal worth US$ 1.03 billion. Malaysian company Axiata now owns majority stake in Ncell. The cabinet’s decision came two days after the Ministry of Finance furnished a progress report in recovering CGT from Ncell to the PAC. “In the report, the ministry said that it has prepared a 75-day schedule to recover CGT. Needful consultations on the issue with tax experts have already made,” Upadhyaya quoted the report. PAC, on May 29 last year, had decided to recover tax from the seller in a different context as TeliaSonera had not left the country then, he added. 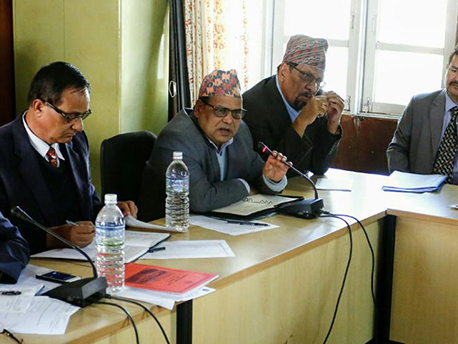 Talking to Republica, PAC member Ramhari Khatiwada termed the cabinet decision as a historical blunder. 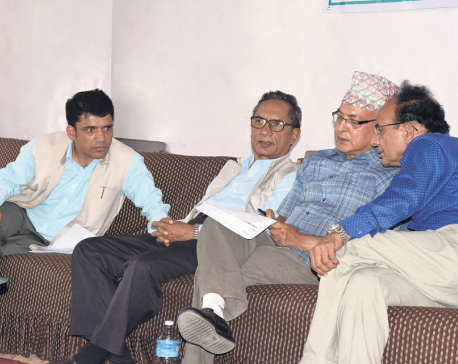 “If the decision is true, it is the biggest corruption scandal in the country,” Khatiwada said, adding that action should be taken against both the Prime Minister and the Finance Minister. On January 25, PAC had directed the government to bar Ncell from rolling out 4G internet service until its CGT dues are settled. The tax authorities, however, are yet to assess the CGT. PAC’s Khatiwada estimates Ncell has to pay around Rs 23 billion as CGT. The operator has already paid about Rs 10 billion.